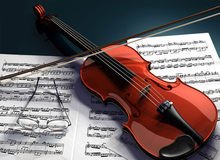 Let's begin with what you can achieve with the modes of the melodic minor scale (article 56). 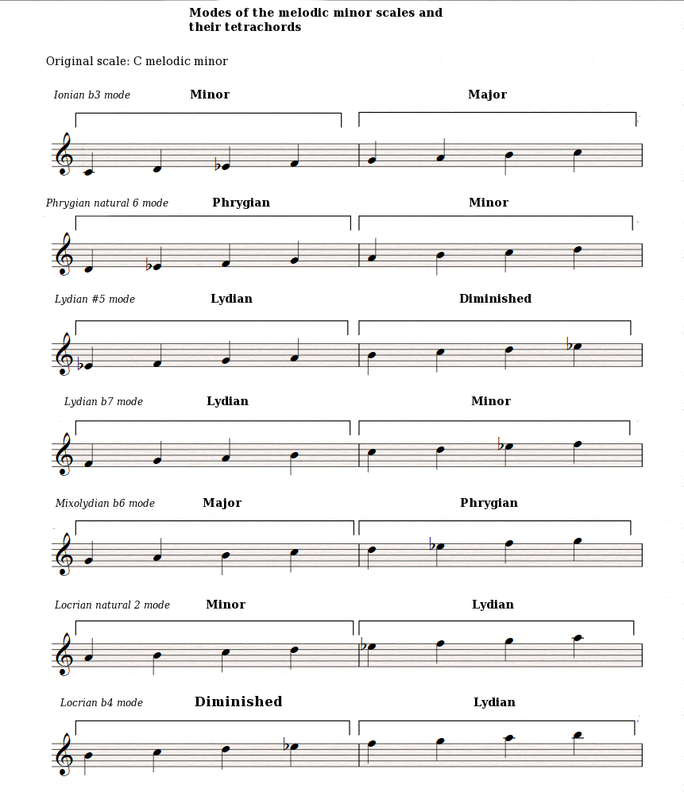 If you look at the modes of the melodic minor scale, you'll realize that the tetrachords that make them up are the same as those of the natural modes, with the addition of a new one: the diminished tetrachord. The latter is made up of semitone, whole tone, semitone intervals, or 1-2-1 according to the code established in article 64. Like in the previous article, let's see what happens when you mix all of these "bricks"! Since most of the tetrachords are identical to those of the natural modes, we will focus mainly on those which include the new element introduced, namely the diminished tetrachord. 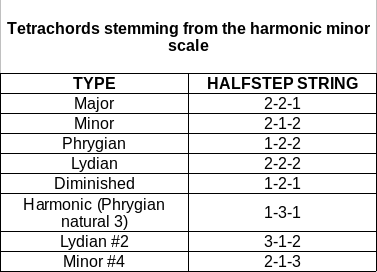 To wrap up this article I invite you to discover the modes stemming from the harmonic minor scale! In this case, you'll find once again the omnipresent major, minor and Phrygian tetrachords, as well as the diminished mode mentioned above. 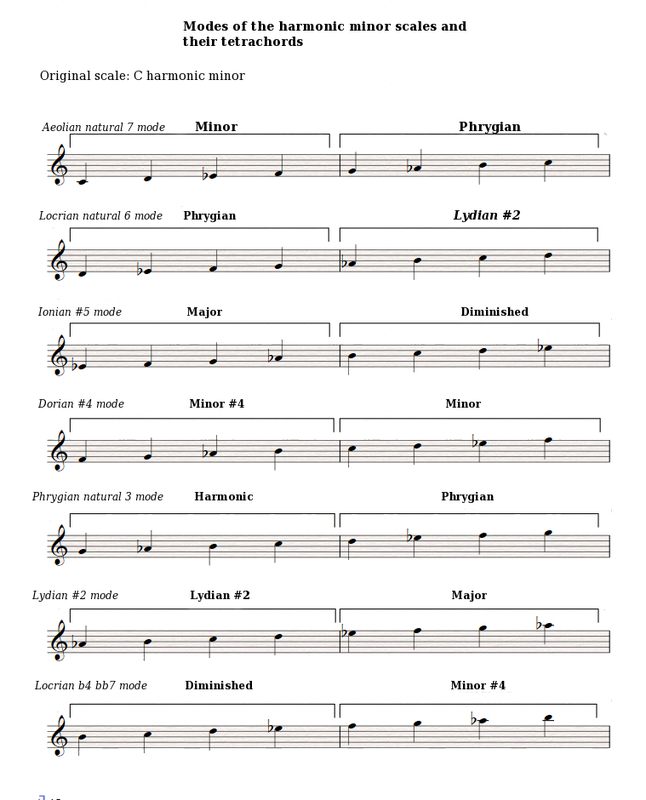 But there are three new tetrachords: the harmonic tetrachord also called Phrygian natural 3 (1-3-1), the Lydian #2 tetrachord (3-1-2) and the minor #4 tetrachord (2-1-3). 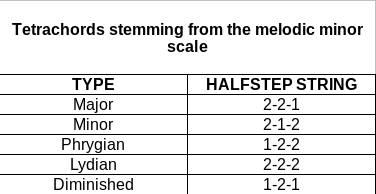 They all feature an interval of three semitones, which is characteristic of the modes of the harmonic minor scale. Next time you'll learn how to combine them!